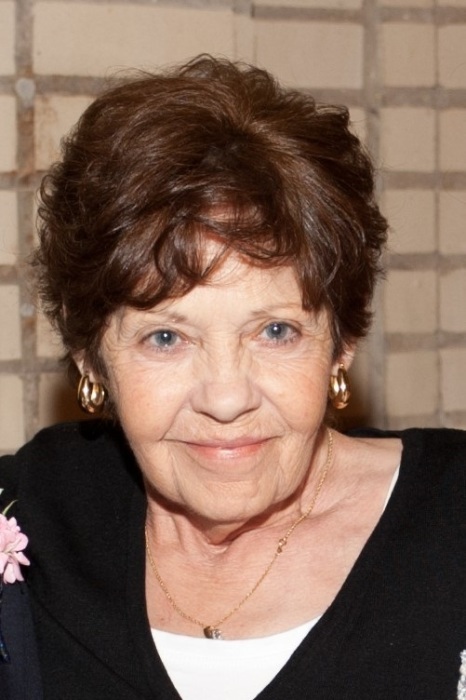 DELPHOS- Janice Fay Foos, 72, of Delphos passed away peacefully with her family at her side at 9:10 PM on Tuesday, March 13, 2018. She was born June 18, 1945 in Garrett, Kentucky to Douglas and Genevene (Chaffins) Prater who are deceased. She is survived by her 6 children, Jill (Voorhees) & Arnie Mohler of Delphos; Vicky (Voorhees) Leduc of Piqua; David & Brenda (Coil) Voorhees of Delphos; Crystal (Voorhees) & Ryan Kimmet of Delphos; Renee (Boedicker) & Tim Wright of Kettering; and Genny Foos of Tuscon, AZ; 9 grandchildren, Brad (Audra) Mohler of Delphos; Lyle (Katherine) Mohler of Bexley, OH; Alexis (Nick) Dancer of Ft. Wayne, IN; Logan and Blake Kimmet of Delphos; Marissa Wright of Kettering; Brittney Snider of Tuscon, AZ; Skyler and Tanner Voorhees of Delphos; and 4 great grandchildren, Trenton Glaze of Leo, IN; Clark and Charlie Dancer of Ft. Wayne, IN; Leona Mohler of Delphos. Grandsons Tyson Glaze and Christopher Glaze preceded her in death. She is also survived by 7 siblings, Felsie Cassidy of Sidney; Quintin (Sue) Prater of Lima; Lucredia (Donnie) McCormick; Patricia (Dave) Kohlhorst; Lavonda (Ronnie) Slone, and Thelma (Denis) Fisher, all of St. Marys; Lydia (Gary) Pennington of Sidney, and many nieces and nephews. Brothers, Clinton Prater and Clayton Prater; and sister, Mildred Rupert, preceded her in death. Janice was raised in the coal mine country of Kentucky until moving to Ohio with her family at the age of 17. She later married and was a home maker for many years. Janice retired from the Evenflo Company in Piqua, OH where she had been a seamstress for 21 years. She loved spending time with her kids and grandkids and enjoyed quilting with her sisters and making quilts for all the children. Her family will receive friends on Saturday, March 17, 2018 from 11AM-1PM with a service following at 1PM at Chamberlain-Huckeriede Funeral Home, Lima, OH. Pastor Rich Rakay will officiate. Burial will follow at Woodlawn Cemetery, Lima, OH. In lieu of flowers donations may be made to the Allen County Humane Society, 3606 Elida Rd., Lima, Ohio 45807.